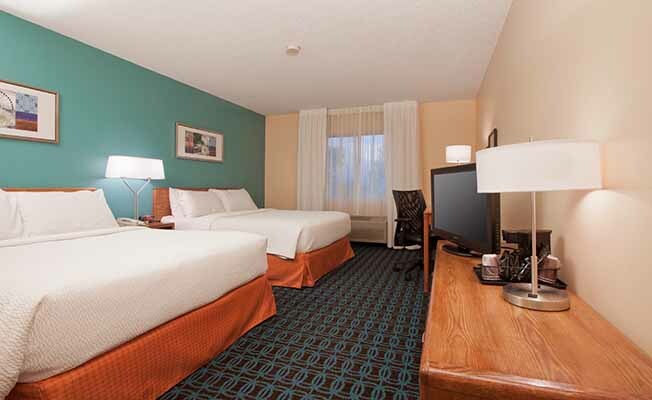 Marriott's award winning economy hotel lodging chain features clean, convenient, quality accommodations and the peace of mind you get from Marriott consistency - all for a great value. The Fairfield Inn Bozeman is located 8 miles from Bozeman Yellowstone International Airport and 2 miles from downtown Bozeman. Both the north & west entrances of Yellowstone National Park are 90 miles from the hotel. For recreation the hotel offers an indoor pool and free gym membership for guests with a local 24/7 fitness partner. Bridger Bowl Ski Resort is 16 miles away. Bridger Creek Golf Course is 2.8 miles from the hotel. Free high speed Internet access! Brand Hot Breakfast included. Easy access from and to I90 off exit 306. 24-hour coffee station.